Carol Ann Autry was born to the late Leo Oderbert and Helen Baker Oderbert on September 11, 1938, in Port Arthur, Texas. She left her life on November 23, 2018, in a peaceful environment surrounded by family and friends in Fort Wayne, Indiana. Following graduation from Prairie View A&M University and traveling with her husband's professional football career, Carol began her professional career as a teacher in Fort Wayne, Indiana. She quickly transitioned to her long-term mission as a Social Worker with the Allen County Division of Family Resources. Settling with her family in Fort Wayne, Carol joined and became passionately involved with the Cosmopolites Business and Professional Women's Club where she held a number of leadership roles. She was also a member of Jack and Jill of America, Inc. The two organizations align with what was important to Carol; advancement of families and youth. Carol retired after 32 years of service from the Allen County Division of Family Resources in January of 2001. 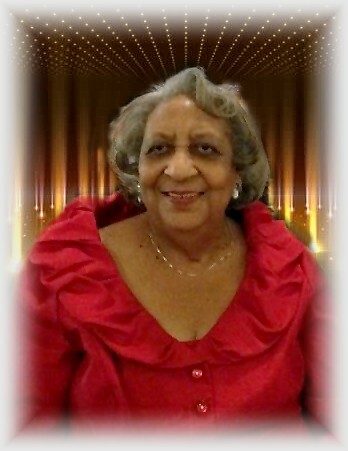 A faithful and dedicated member of Union Baptist Church, Carol was actively involved in the Hospitality Ministry, Pastor's Aide, Foreign Mission, and Union Baptist Federal Credit Union. Carol leaves to cherish her memory: her children Jonathan (Paula) Autry of Fort Wayne, Indiana, Gabrelle Autry Martin of Dallas, Texas, and Joel Autry of Silverton, Oregon; a sister, Jennifer (Richard) Oderbert Harris of Houston, Texas and nieces Ashely Harris Giles and Brittney Harris; four amazing grandchildren, the gems of her life: Taylor Martin of Dallas, Texas, Samantha Autry of Nanjing, China, Lane Autry of the University of Michigan and Drew Martin of Purdue University; her Port Arthur and Terrell, Texas family; her Texas contingent family: the Grimes and Nunns (Brown); and a host relatives and very dear friends.